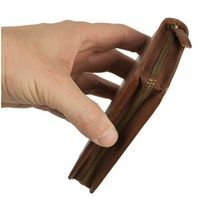 You are looking for a large men’s holder which really fits a lot but still appears simple and compact? 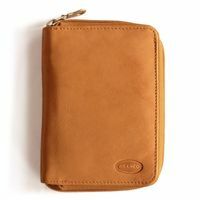 – Then this beautiful purse made out of high quality real leather in the colours brown, cognac brown and black should be the right thing for you. 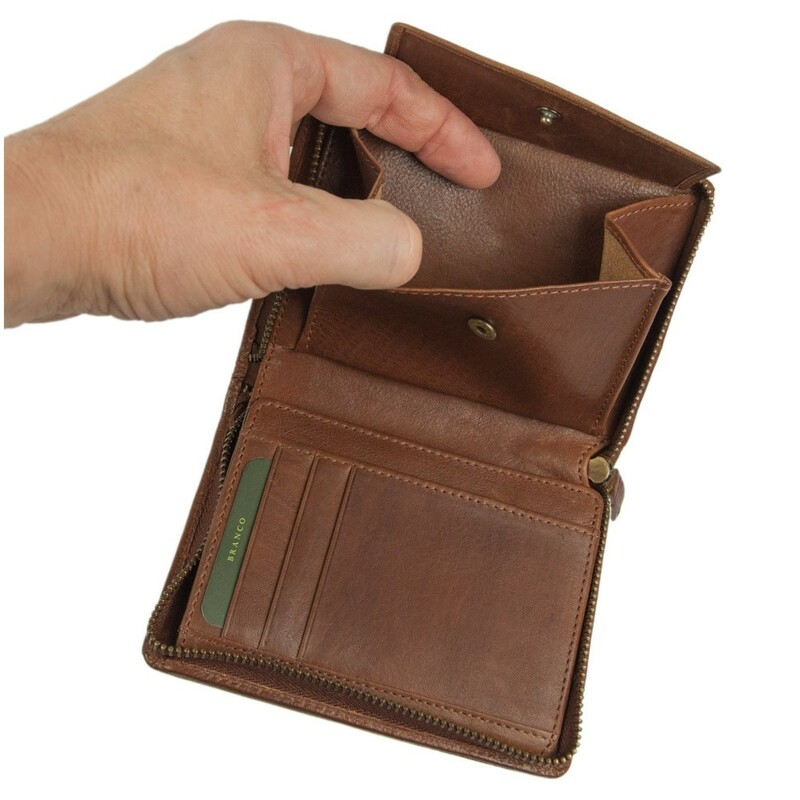 The spacious money pouch in upright format finally has got enough space for notes, coins, IDs and cards of all sorts. And a zipper goes all around the entire billfold, so nothing falls out and everything is always kept well-arranged. The spacious leather pouch has got six card slots, e.g. 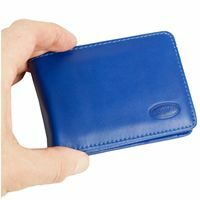 for credit cards, debit card, insurance cards, membership IDs, customer and business cards. 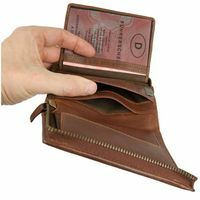 There are five special pockets in A7 format, one of them with view window, for old, large-sized documents like e.g. the driver’s license, vehicle registration and personal ID as well (This statement applies to GERMAN old, large-sized IDs etc.). Furthermore, the practical money holder has got two compartments for notes and one large coin pocket. 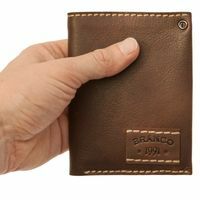 And last but not least – due to its compact dimensions the billfold fits well into a trouser pocket of the usual format. 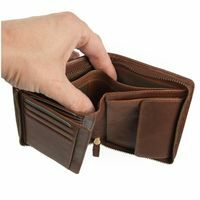 The leather purse is made out of premium cow leather. 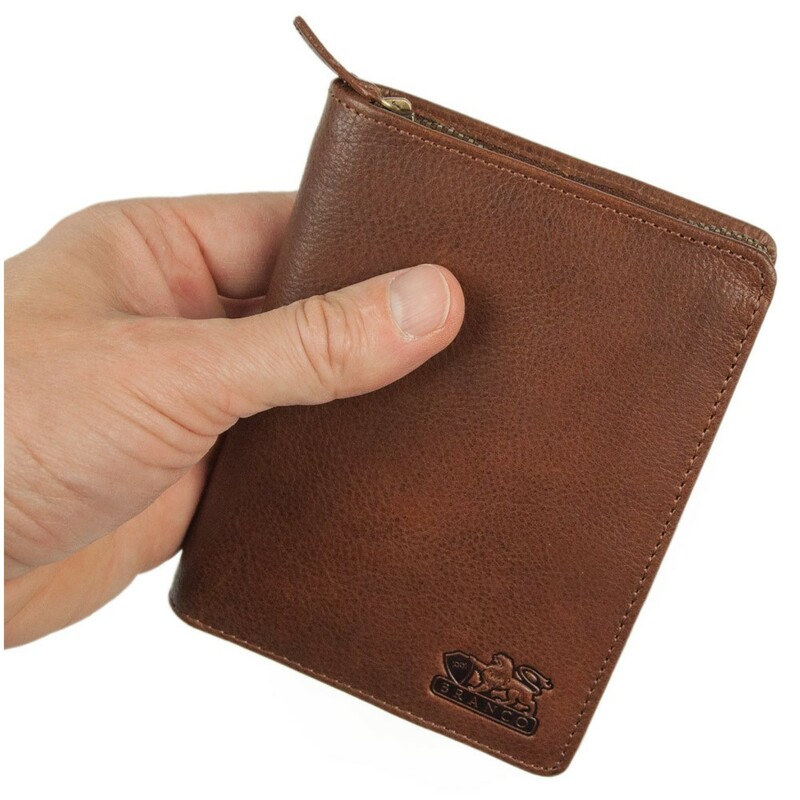 This soft leather lies very nicely in your hand and is very well made. 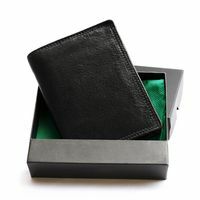 So you will enjoy this exclusive wallet for a long time. Or you make someone else happy with it – this men’s carryall is always a nice present, no matter what kind of occasion the gift is for.